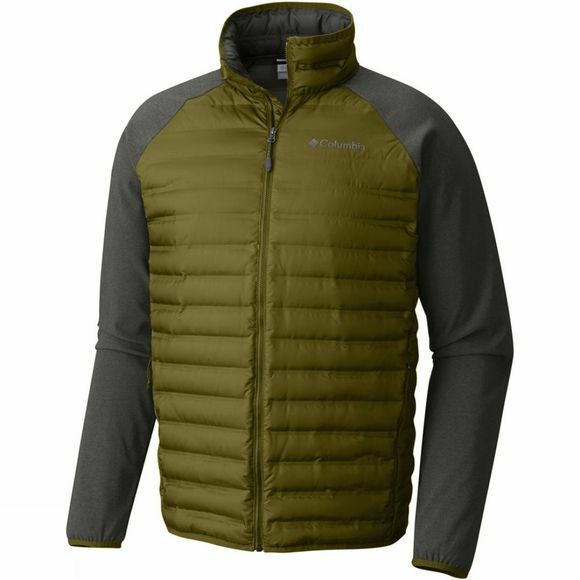 The Mens Flash Forward Hybrid Jacket is perfect when the weather turns chilly and a lightweight, packable 650 fill-power hooded down jacket will help keep you warm and snug. 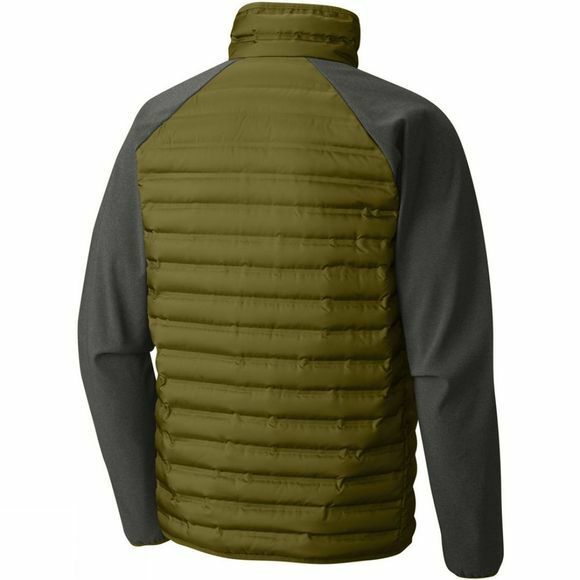 The “no-sew” bonded baffles on the chest and back reduce water penetration and keeps down from migrating, giving it a modern, sleek and streamlined aesthetic. Added elastane on the arms enhance body movement. Perfect for mild winter conditions.